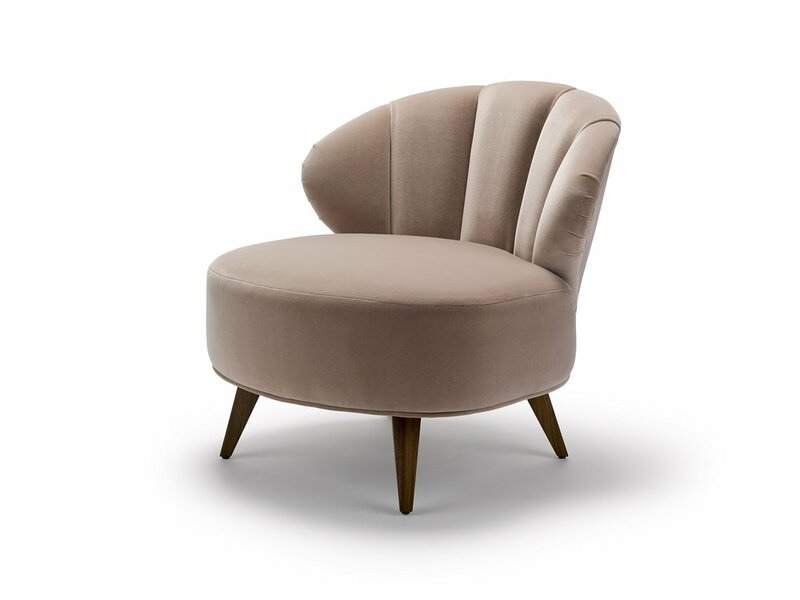 With its refined shell like silhouette and chic fluted back, the Princess Bella chair presents a touch of subtle elegance. Shown here upholstered in Designers Guild Varese cotton velvet, with legs in natural oiled walnut. Construction: solid beach frame with a sprung seat and fluted back.